WASHINGTON (CN) – Among a list of dozens of cases rejected Monday by the Supreme Court is that of a California billionaire trying to make the state pay to use his property as a beach-access point. Vinod Khosla closed off the only road that allows the public to access the 89-acre Martins Beach in 2009, about a year after he paid $32.5 million for the scenic Northern California property. The controversy has inspired a number of court cases, including one 2013 suit by the nonprofit Surfrider Foundation. Khosla appealed unsuccessfully after the San Mateo County Superior Court ordered him to keep his gate across Martins Beach Road unlocked, and the U.S. Supreme Court shot down his latest effort Monday. Per its custom, the court did not issue any comment this morning in denying Khosla a writ of certiorari. “I’m proud that we have finally prevailed over the arrogance of great wealth and one billionaire’s attempt to deny a priceless piece of California coastline to public use,” McCloskey said. Khosla had been represented by Kirkland & Ellis attorney Paul Clement. Surfrider had been represented by Anna-Rose Mathieson of the California Appellate Law Group and by the firm Cotchett, Pitre & McCarthy. Co-counsel Eric Buescher noted that the suit “over the future of public access along over 1,100 miles of coast in this state” began as a modest claim that the Coastal Act’s permit requirements apply to everyone. “The public’s right of access at Martins Beach and beyond must be fought for if it is to be preserved,” Buescher added. 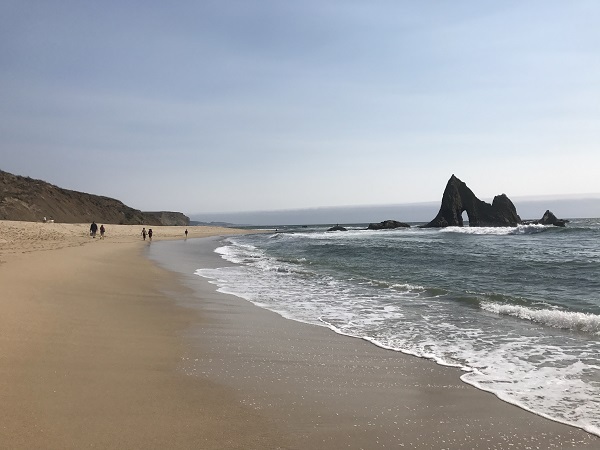 Over the summer, a group of California legislators gathered along the crescent-shaped coastline south of Half Moon Bay to unveil a new fund supporting the purchase of a Martins Beach easement. State lawmakers secured $1 million during the most recent state budget process with the intent to exercise eminent domain on the easement, and San Mateo County has also agreed to put up $1 million. State Senator Jerry Hill, D-San Mateo said this $2 million could be enough to secure a permanent easement for public access through eminent domain. Khosla meanwhile had tried previously to sell an easement for $30 million.